Laurence King Publishing, 9781786273918, 144pp. It's long been an accepted, almost celebrated, fact of the creative industries that long hours, chaotic workflows, and egotistical colleagues are just the price you pay to produce great work. In fact, this toxic culture is the enemy of creativity, and with greater accountability and transparency in the industry—and more choice for young talent—than ever before, this unsustainable way of doing business is a ticking time bomb. Simple strategies can easily be implemented to create a happier, more productive team and—importantly—BETTER WORK!. 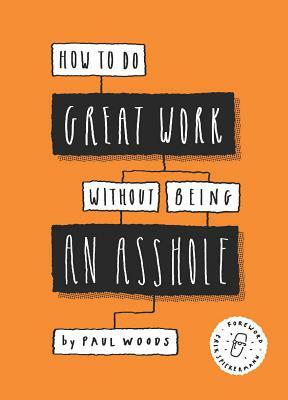 Paul Woods is an award-winning Los Angeles designer and writer. He leads Edenspiekermann's creative and technology teams as CCO, building products, brands, and service design work for clients in industries as diverse as editorial, sustainability, and transportation. Over the course of his career, Paul has been at the helm of projects for companies like Red Bull, Google, Morgan Stanley among many others. An advocate for the importance of user-centric design, Paul places a hyper-focus on the user in his work. A thought leader in the design and technology spaces, his bylines regularly appear in publications such as Fast Company, AdWeek and The Drum. In his spare time, Paul is an illustrator and co-founder of the satirical industry website Adloids. He lives in Pasadena with his wife Nora and a very stubborn basset hound.